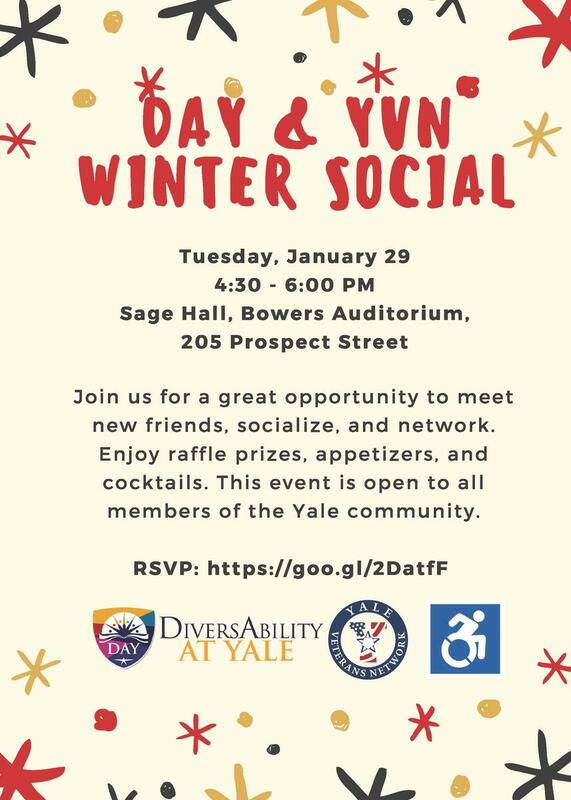 Join DiversAbility at Yale (DAY) and Yale Veterans Network (YVN) for a great opportunity to meet new friends, socialize, and network. Enjoy appetizers and cocktails. We will also be selling raffle tickets with proceeds benefitting Columbus House. This event is open to all members of the Yale community. The venue is wheelchair accessible and near the Yale shuttle. To RSVP, go to: https://bmsweb.med.yale.edu/tms/tms_enrollments.offerings?p_crs_id=6582.